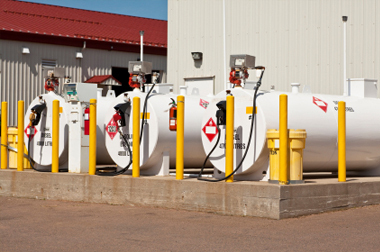 CRG provides AST and UST Petroleum Storage Tank Services (LPST), Compliance, Installations, Upgrades, and Tank Removal from Service, detailed compliance inspections and personnel training to assist in risk management, pollution prevention, and regulatory compliance. CRG Texas is licensed by the TCEQ as a Registered Corrective Action Specialist (RCAS), with licensed Corrective Action Project Managers (CAPM) on staff to develop your leaking petroleum storage tank case solutions. From the beginning stages involving underground utility locates, local Fire Marshall permitting, and TCEQ Construction Notification phase to the Release Determination and Corrective Action Phases, to Leaking Petroleum Storage Tank (LPST) case closures, our stakeholders can rest at ease knowing that CRG Texas will follow the necessary steps to deliver a high quality and successful project. Ghost tanks are Petroleum Storage Tanks that are discovered during construction work, site inspections, and other activities, that are suspected to have been used for petroleum or hazardous chemicals or waste. Ghost tanks are regularly found during roadway and underground utilities construction. The TCEQ and other agencies require identification of the chemicals through process knowledge or sampling and laboratory chemical analysis. Ghost tanks may be located is suspected by using magnetometer and ground penetrating radar, and also by field locating using excavation equipment. CRG Texas provides magnetometer and GPR surveys to search and/or locate suspected ghost tanks. CRG Texas also provides physical locates and removal, sampling/ lab analysis, and agency reporting. Petroleum Storage Tank releases all too often go left un-noticed until it is too late for your release prevention and detection tools to assist. Remember to check yours overfill, over spill, and release detection equipment monthly at a minimum in order to reduce the chances of a petroleum release.